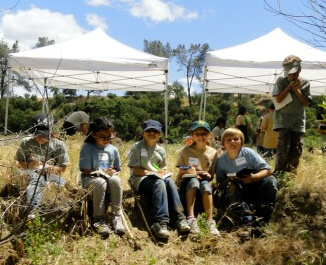 Camp Pinnacles is an overnight Science Camp that serves 4th and 5th grade students from the Central Coast region. 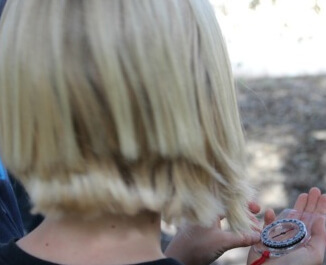 Hands on resource immersion activities allow students to have fun while learning about the natural and cultural history of the region. 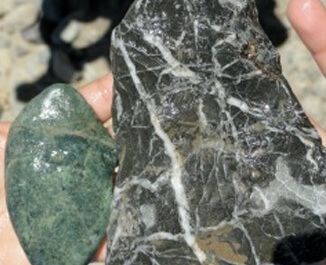 Curriculum based activities get the students engaged in active learning and problem solving. 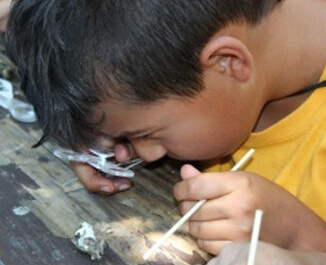 Hands-on environmental education experiences inspire environmental stewardship in the next generation. 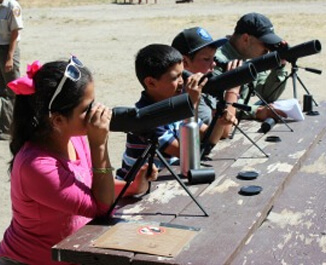 This experience provides a majority of participants with their first visit to PINN, as well as their first experience camping, or seeing an endangered California condor. 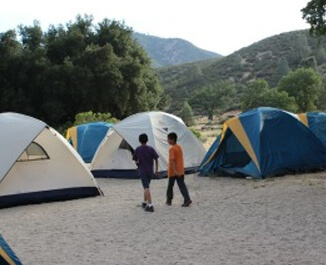 Camp Pinnacles began by serving the one room schools in south San Benito County. 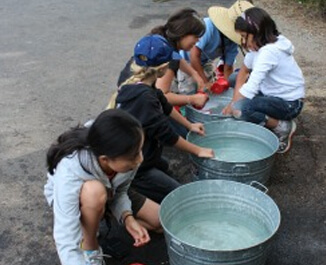 Through collaboration between PINN Education and PNPF and a new partnership with the Point Blue Conservation STRAW program, it now serves over 400 kids from San Benito, Santa Clara, Santa Cruz, and Monterey County annually. 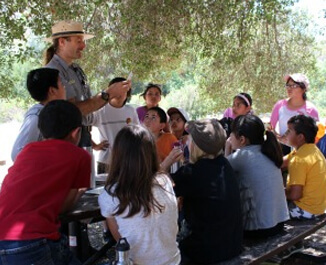 Camp Pinnacles provides youth some of the first steps on the pathway to becoming good stewards of the land we all share.